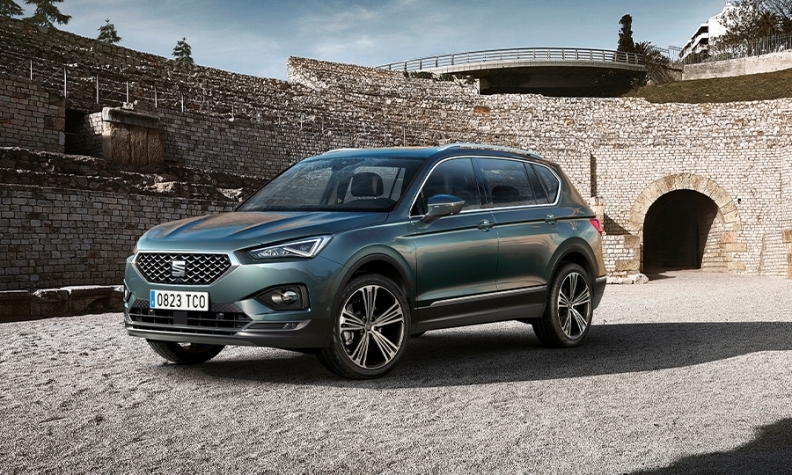 Higher transaction prices have helped Seat make a profit on the Tarraco (shown) even though it is built in high-wage Germany. Volkswagen Group’s Seat business is profitable after being a continual money-loser until two years ago. The success has earned Seat a much bigger role within the multibrand giant. Seat has been given responsibility for VW Group operations in North Africa and it has been handed a key EV development role in China, where it aims to launch sales in 2020-2021. 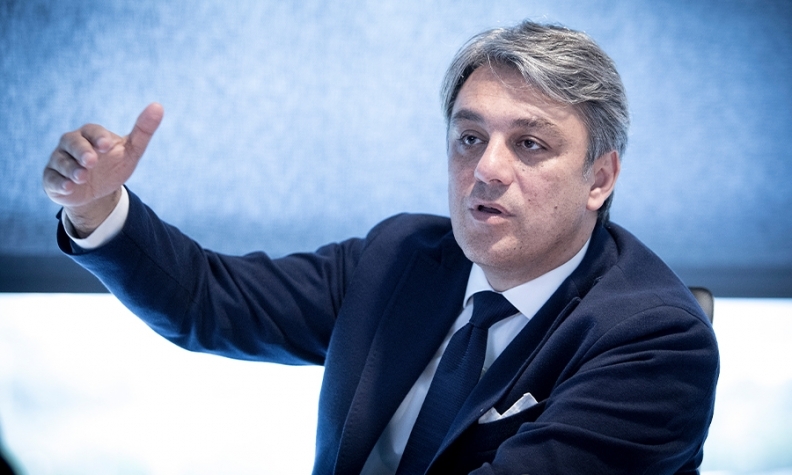 Seat President Luca de Meo discussed the automaker’s plans with Automotive News Europe Associate Publisher and Editor Luca Ciferri. Will Seat increase global car sales from the 468,400 sold last year? If we do not get a last minute surprise on engine availability due to new WLTP homologation rules in Europe, we are on track not only to surpass 500,000, but also to beat our previous record, which is 515,000 units in 2000. Seat achieved an operating margin of 3.8 percent in the first nine months. Do you still see 4.5 percent as the maximum margin you could achieve? Yes, and it will be very challenging. In the years to come, the industry as a whole must spend significant amounts of money to further clean internal combustion engines and for electrification. This will squeeze future margins. Everyone will be fighting to achieve decent margins -- not only with the first generation of battery-powered vehicles, but most likely also with the second. Seat’s first full-electric car will be based on the Mii minicar. When will this model debut? We plan to launch it between the end of 2019 and early 2020, but our expectations are for just a few thousand units a year. We will use this vehicle as a test bench to understand the market and how our dealer network could cope with electric cars. Given the high price of an electric Mii, we do not expect many private buyers. It will be mostly fleets. When will Seat’s second EV, a compact model based on VW Group MEB architecture, arrive? We hope to be on the market by the end of 2020 and we will show a close preview at the Geneva auto show in March. This Seat EV will be based on VW technology and built alongside the VW I.D. Neo in Zwickau in high-wage Germany. Will it be sold at Seat’s lower price point and will it make money? We have been working hard to increase the price positioning of Seat and this helps a lot. Our average transaction price grew by 20 percent in the last three years. When I came to the brand, the transaction price for a Seat model was below the equivalent VW product by a two-digit percentage. Now we are at a low, single digit. If this was not the case, Seat could not have sold the Tarraco [midsize SUV] at a profit because it is built by VW in Wolfsburg. You have focused the Cupra performance line on electrified models and made it into a stand-alone brand so the cars can be sold at higher prices to cover the higher cost of electrified powertrains. Why are you not badging your full-electric cars as Cupras? Cupra is a high-performance brand and we have not yet found the formula to create a high-performance battery electric car. For our compact EV, we are envisaging just the FR badge, used for sportier versions, but not a proper Cupra. When will we see the first model developed as a Cupra from day one and which type of powertrain will it use? Next year we will show a close preview. I think we will surprise a lot of people. When it comes to the powertrain, we will have a plug-in hybrid in two output levels and a gasoline-only variant. We plan to launch it in 2020. Last year we sold 10,100 units and in the first nine months of this year it was 10,600. We are in a good shape, particularly because we offered just one model, the Leon compact hatchback. The Cupra Ateca is the second model. It goes on sale this month [December]. When will we see Cupra versions of the Ibiza and Arona? The Arona has the better chance to have a Cupra variant, but its business model is extremely challenging and we have not made a final decision yet. Is the long-term target for Cupra still 10 percent of Seat’s European sales? Yes, but only of the models that have a Cupra variant, so it will be less than 10 percent of total European sales. "Our average transaction price grew by 20% in the last three years," Seat President Luca de Meo said. Main challenge: Staying profitable while taking on expanded roles for VW Group in China and North Africa. Last year you said you could have sold more Atecas if you built more. Is this still the case? We could easily have sold 20,000 more Atecas this year. Europe is shifting from hatchbacks to crossovers. What is the mix between the Ibiza compact hatchback and Arona compact SUV? The initial plan was 65 percent Ibiza and 35 percent Arona. Then, just before starting production, we decided to invest more to go 50/50 first. Now we can manage 60 percent Arona and 40 percent Ibiza. Seat has been asked to lead VW Group operations in North Africa. What does that entail? The plan is to assemble about 50,000 units in Algeria this year and roughly half of them will be Seats. We are responsible for an area that extends from Morocco to Egypt for Seat, Skoda, VW passenger cars and LCVs. The Algerian government wants you to increase local content. What production volume do you need for suppliers to open factories there? At least 100,000 units a year. We have already started talks with our suppliers. In terms of parts to be localized first, we are looking at labor-intensive, low-tech plastic parts. Seat plans to become a shareholder in JAC Volkswagen Automotive, a joint venture between VW Group China and Anhui Jianghuai Automobile Group (JAC). What should we expect from Seat’s latest bid to be successful in China? We started helping JAC to improve an existing battery-powered model, the iEV 7S. We helped them upgrade the design, quality, reliability and battery management. We will establish an r&d center in China to develop electric vehicles, connectivity and autonomous driving technologies, including relevant parts and components and core technologies, with operational use planned for 2021. Seat and JAC will also develop a full-electric platform, right? Seat was given the task to create a new EV platform. We are putting ideas on the table and we need to see what our Chinese partner agrees on, so it is really a work in progress on which speculating would be premature. Could we expect Seat to re-enter the Chinese market with electric cars based on this architecture, possibly in 2021-22? If it’s ready on time and on cost, I think this is a fair bet. I want to emphasize another crucial part of this JV. The local r&d center will also develop connectivity and autonomous driving technologies. It is based in Anhui, which is in the forefront of China’s smart city program just as Barcelona is for Spain. To view the entire Automotive News Europe Talk from the Top supplement click here.